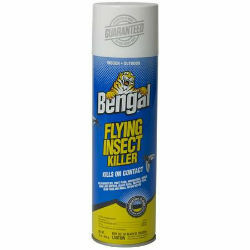 Provides quick knockdown and kill of mosquitoes, flies, gnats, moths, horseflies, fruit flies, and Asian lady beetles. Indoor and outdoor use. Effective with only a short burst per room. Kills on contact. Controls pests for up to 4 weeks.